The National Science Foundation (NSF) awards two Stevens professors one of the Foundation’s most prestigious honors - Stephanie Lee and Ramana Vinjamuri have both been named as 2019 winners of the NSF’s CAREER Award. CS computer science department chair and cybersecurity expert Giuseppe Ateniese has been ranked #7 in the world in the prestigious AMiner "Most Influential Security and Privacy Scholars" ranking. The FoSTER Seminar Series aims to inspire the SES research community to collaborate and expand knowledge in foundational pillar areas including biomedical engineering and biological innovations. Online Engineering Programs Ranked #1 in NJ, #22 in U.S. The Schaefer School of Engineering and Science was named 8th in the nation in the 2019 U.S. News and World Report ranking for computer information technology programs. The engineering programs were ranked 22nd. Both were the highest in the state of New Jersey. SES is excited to welcome new biomedical engineering, machine learning, quantum physics and resilience and sustainability researchers as part of its faculty for Spring 2019. Two engineering faculty members, K.P. Subbalakshmi and EH Yang, have been named as fellows of the National Academy of Inventors--an honor that recognizes contributions that have an impact on quality of life, economic development and societal welfare. Today, with nine departments and 50 academic programs, the Charles V. Schaefer, Jr. School of Engineering and Science (SES) maintains a rigorous commitment to preparing the next generation of technology leaders by offering a multi-disciplinary, design-based education. With its intensive curriculum for undergraduates, master's and doctoral candidates, SES is dedicated to supporting hands-on learning, research and technology that provides each student with invaluable, experiential knowledge. 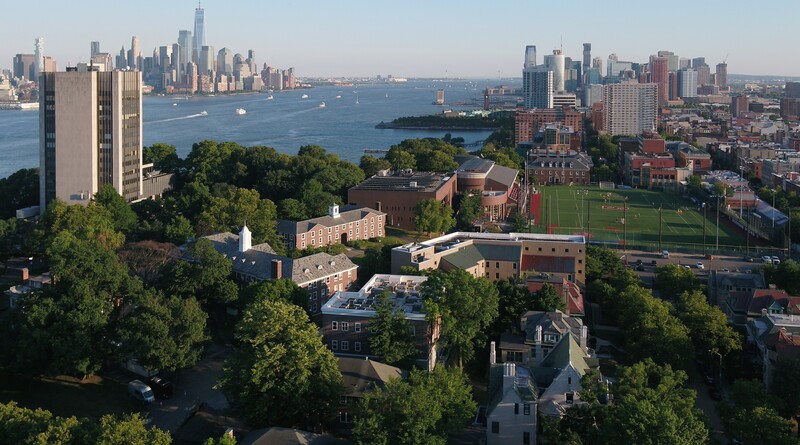 SES is globally recognized for its world-class faculty, leading-edge research facilities and premiere location proximate to New York City. In addition to thriving research laboratories, the Charles V. Schaefer, Jr. School of Engineering and Science is home to one of two National Centers of Excellence at Stevens. The MSC is a Department of Homeland Security Science & Technology Directorate (S&T) Center of Excellence in port and maritime security. The Davidson Laboratory is world-renowned for its research in marine monitoring and forecasting and for experimental marine hydrodynamics.